This Salted Caramel Hot Fudge is not only great over ice cream, it’s an awesome addition to milkshakes and over cakes! 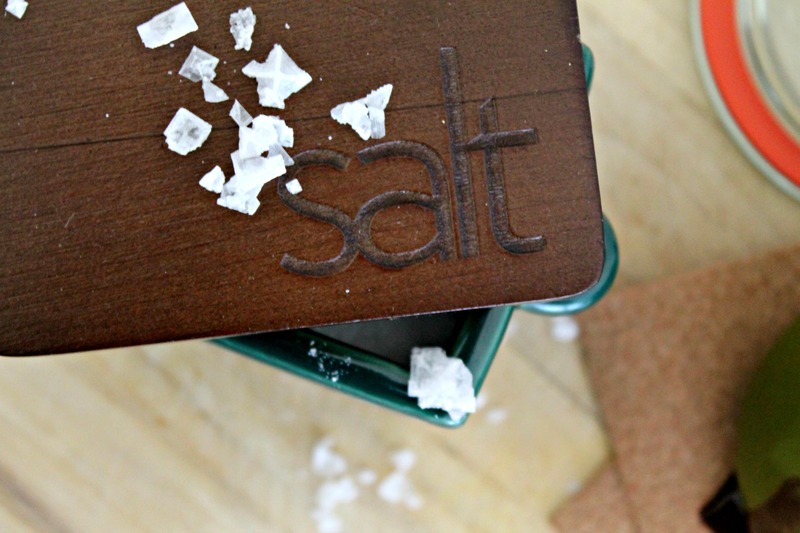 Perfect for holiday gifting – just pour into jars, add a cute ribbon, and gift away! Let’s just be real – life without hot fudge isn’t even worth living. Luscious, rich, and warm fudge over your ice cream or whatever dessert, makes it a truly decadent dessert course. I’ve adapted this recipe from the one we make at the restaurant and tweaked it to make it home-friendly. At the restaurant, we use just a dark cocoa powder to make this fudge recipe, but today I’m using Ghirardelli’s Chocolate Caramel Hot Cocoa powdered mix and it seriously just pushes this recipe over the edge! The brand new cocoas from Ghirardelli are rich and with an intense chocolate flavor, perfect for all the hot chocolate we’ll be making during the cold New England winter months. The new flavors include: Chocolate Mocha Hot Cocoa, and Double Chocolate Hot Cocoa, Chocolate Caramel Hot Cocoa. 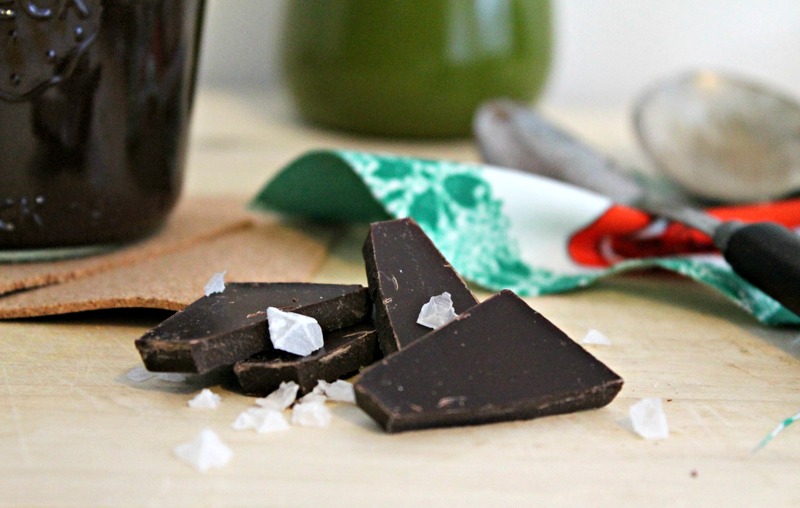 Add a drizzle of this to your morning coffee for a mocha-style drink or over brownies for a quick and easy dessert! Sure, you can buy a jar of fudge at the store for $3.99, and sure, sometimes it really hits the spot, but listen to me. NOTHING is better than this recipe. I’ve made it for the past three years and every year I pat myself on the back for not going into the walk-in fridge and just drinking a whole batch of it. Oh, and for those of you who want to make a case of the high fructose corn syrup in this? I’ll hear you out but won’t stop making this recipe. Everything in moderation, including moderation, correct? The best hot fudge sauce you'll ever make, with a touch of salted caramel flavor. Over medium high heat, in a medium sauce pan, whisk together all the ingredients BUT the butter, vanilla bean extract and the salt. Whisk until chocolate is melted and all the ingredients are well incorporated. Increase the heat to high and let simmer for 5 minutes. Remove from heat and whisk in butter, vanilla bean extract, and salt. Serve immediately or store in an airtight jar in the fridge for up to two weeks. To reheat, either microwave for 30 seconds or over stovetop. Enter below by filling out the Rafflecopter (please give it a minute to load). Good luck! Disclaimer: Ghirardelli provided me with a few of their new products, but I was under no obligation to create a recipe. I just wanted to share this amazing hot fudge recipe and had Ghirardelli in the pantry! All opinions are my own, as always. I love making Mint Chocolate Brownies…so decadent! I love homemade cocoa truffles. Flourless chocolate cake – that will be our dessert for thanksgiving this year! Any kind of brownies – but Peanut Butter and Chocolate Swirl are probably my favorite. Since the wife and I are choc-o-holics! I’m sure I’ll be starting with cupcakes and cookies! my favorite chocolate recipe is mexican hot chocolate cupcakes. mmmm this looks so good. I love making chocolate chip brownies!!! Chocolate chip cookies. Then brownies. Then fudge. But who needs a recipe? I’m happy with a plain old bar of milk chocolate. Fave chocolate recipe? I can only name one? chocolate cake. I have a recipe that incorporates coffee. freaking love it. I love my Chocolate Cake Recipe http://realwomenofphiladelphia.com/user/recipe/4219764/chocolate-mousse-cake-w-caramel-cream-cheese-frosting. 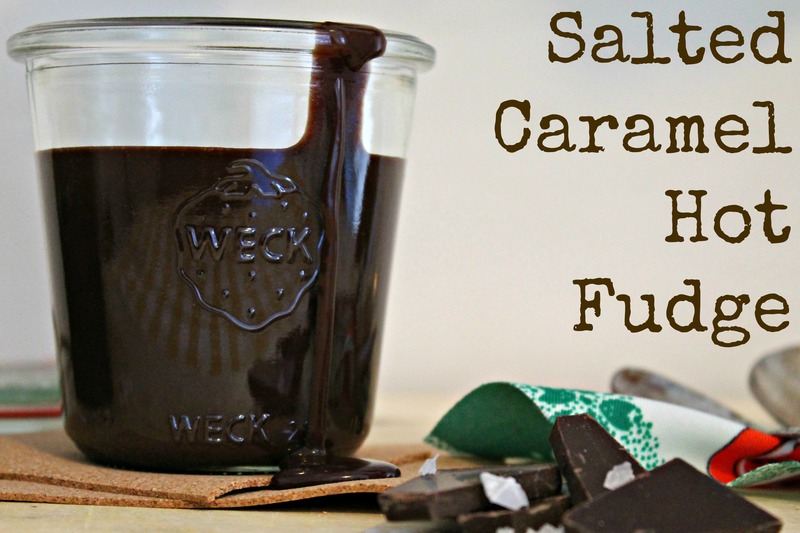 I could just drink this Salted Caramel Hot Fudge right out of that jar it looks so delicious!! 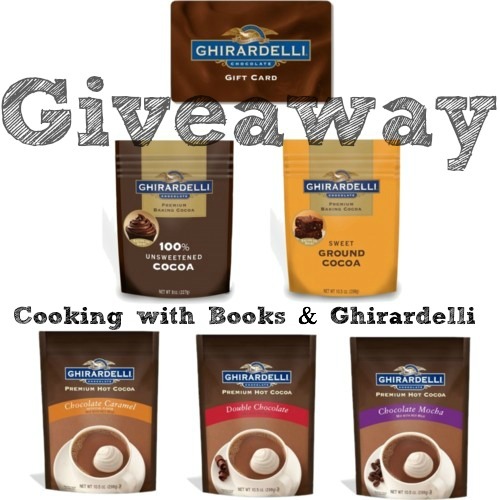 Chocolate sounds like a dreamy giveaway!! My favorite chocolate recipe is chocolate pecan pie, especially for the season, Nuts, flaky crust and chocolate together doesn’t get much better!! My favorite chocolate recipe is shortbread cookies with a dark chocolate ganche – so good! My favorite chocolate recipe that I’ve actually made would have to be a really simple recipe my mom probably found on a box of Jello pudding mix years ago called Triple Chocolate Cake which is basically a box of chocolate cake mix, a box chocolate pudding, and some chocolate chips and baked in a bundt pan. Best served cold so that the chocolate chips re-solidify. I’ve been meaning to do a from scratch version of it for a while but haven’t gotten around to it. I like some really chocolatey brownies! whoa! hot fudge is good but SALTED CARAMEL hot fudge? cuhraaazy amazing!!! I love Guinness brownies ! Chocolate chip cookies and chocolate cake! I’m a sucker for buckeye balls around the holidays, but I like to use a dark chocolate to coat the peanut butter. I really like the chocolate cake from Add a Pinch.